When Ben Choe was applying to colleges, he was stumped. He had shadowed a shoe designer at Nike, done a 3-D modeling bootcamp and shot skateboarding videos, teaching himself how to edit on Adobe Premiere. Staring at schools and majors, he saw his options — perhaps an arts or design school, but the portfolio requirements were strict and required experience in things like animation. “I just went with something random: marine biology,” said Choe, who grew up in Redmond, Wash., a high-tech community known for being the home of Microsoft and Nintendo of America. 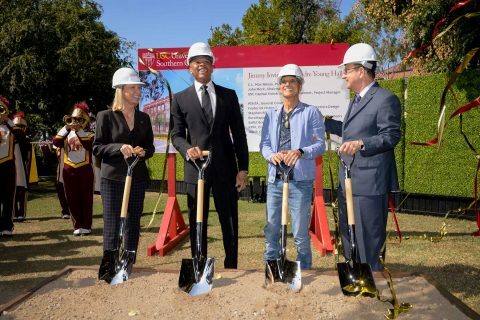 Then, through a friend, he found out USC was launching the USC Jimmy Iovine and Andre Young Academy, which would combine design, engineering and art skills with the first degree of its kind, a Bachelor of Science degree in arts, technology and the business of innovation. 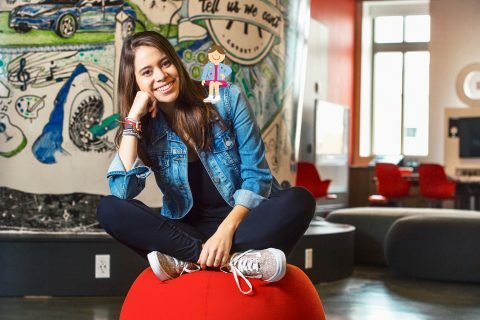 Four years later, Choe has interned for two Los Angeles startups, working at Snapchat talent agency Naritiv and creating animated content for Instagram for WeBuyGold. At the former, he worked alongside the dozen employees at its Venice headquarters on trendy Abbot Kinney Boulevard, spearheading storyboards for ad campaigns for clients such as Walt Disney Studios and the TV network FreeForm. Last summer, he interned for fashion designer Alexander Wang, getting the idea for the app IN/LINE, which he co-founded with two other USC seniors, fellow academy student Sarah Allen and Caroline Moore, who is studying business and computer science. The app could revolutionize the way department store buyers and high-end designers interact. Interning during Market Week — the week after New York Fashion Week, when all the big name stores check out new collections — he and Allen noticed the process was a little wonky: There was only one of each clothing item, and there were appointments throughout the day. One store might show up at noon and pull 80 percent of the inventory and then another store will show up at 1 p.m., which means they only see 20 percent of what’s available. There’s also no indication how long these meetings would take, as they’re seen as a unique opportunity to network and connect with buyers. On top of this, everything was done on paper, so it was hard to track what went where. “It’s just scattered information everywhere,” he said. IN/LINE would allow buyers to see the entire collection online ahead of time and, once they arrive, the showroom team could quickly locate all the items via an app on an iPad. Once buyers picked items, the app could export a spreadsheet that they can bring back for approval. 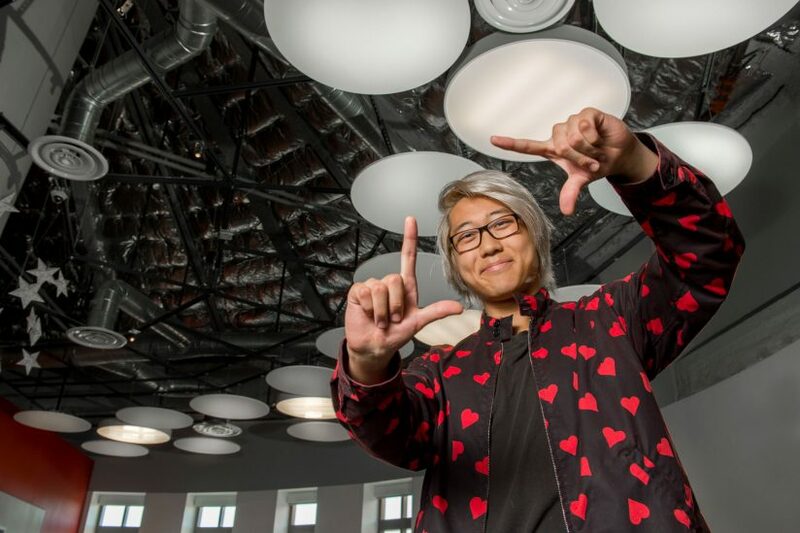 For Choe, learning from startups firsthand and the academy’s entrepreneurial environment were key in giving him the confidence to launch his own product. Choe isn’t alone. Many students in the Iovine and Young Academy weren’t excited about the traditional college route. Senior Lucas McGartland, who started developing apps at age 12, wanted to “Zuckerberg it,” as he put it, and move to Silicon Valley. “I applied to four [colleges] total and I only wanted to go here,” he said. While the students weren’t looking for the traditional academic major, the academy wasn’t looking for the traditional academic standout. Faculty have turned down perfect SAT scores. The No. 1 thing we look for in an academy applicant is: Do they see the world differently? “The No. 1 thing we look for in an academy applicant is: Do they see the world differently?” said academy Dean Erica Muhl. It’s common for them to have a history of creative projects — like apps or their own retail stores — before they start at USC, she said. “This generation is definitely a generation of startup founders,” she said. Part of the academy application process is putting together a video of a business idea. Based off his interest in fashion and skating, Choe came up with an idea for shoes with replaceable soles. “You can have a new pair of shoes completely ruined in like 18 days of skateboarding,” he said. Much like razor cartridges, there would be adhesive that allows it to slip off and be easily replaced. The academy’s curriculum is built to support students’ creativity, putting the bulk of their coursework in their first couple of years. That way, faculty can support students who want to spend their days at a startup in Silicon Beach or flying to Europe for a tech conference. While the academy isn’t right for every student, Muhl knew they were building a program for a generation of students that were “just the tip of the iceberg” — big-picture thinkers who might not deep dive into an expertise, but know how to navigate between business and engineering or design. “If I had to pin it down, I’d say we’re building superior problem solvers who can apply the skill wherever they want to,” Muhl said. Choe got full-time offers from Naritiv and WeBuyGold while still in school, but he decided to go his own way for now. He has spent the year researching for IN/LINE, traveling to New York in the winter to talk to showrooms. Now he and his co-founders are applying to pitch competitions and beta testing at a showroom to see how retailers respond. The hope is to get enough funding to move to New York City after graduation and go all in on IN/LINE. “I absolutely wouldn’t be here without the academy,” he said. 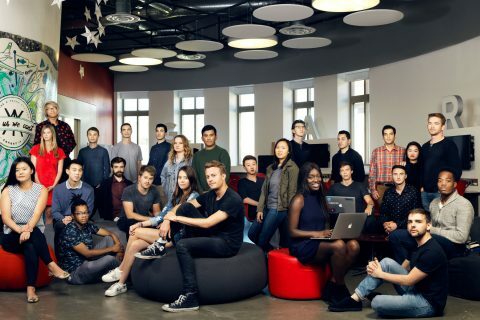 They’re the first students to graduate from the academy, whose unique perspective on innovation comes from the minds of its founders, producer Jimmy Iovine and musician Andre “Dr. Dre” Young. An entrepreneur at age 12, she now looks back at her time at USC and a bright future ahead with her tote bag business. 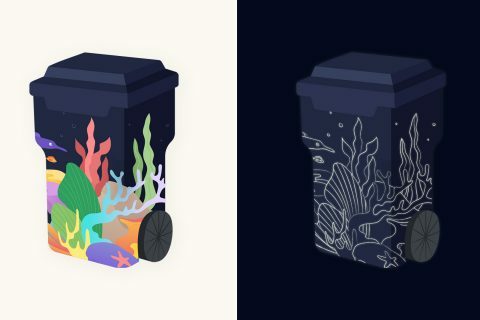 Jane Li’s entry in the competition, which promote awareness around global warming and sustainability, features coral-inspired art.